Article 1: This law is formulated so as to protect and improve the ecological environment, to prevent and control soil pollution, to protect the public health, promote the sustainable use of soil resources, to promote the construction of ecological civilization, and to promote the sustainable development of economy and society. Article 2: This Law applies to engagement in the prevention and control of soil pollution and relevant activities in the mainland territory of the People's Republic of China and other waters under the jurisdiction thereof. "Soil pollution" as used in this Law refers to the phenomenon of certain substances entering the surface land soil caused by human factors, thereby causing changes in the chemical, physical, biological, and other characteristics of the soil, affecting the function and effective use of the soil, and harming public health or damaging the ecological environment. Article 3: Prevention and control of soil pollution shall adhere to the principles of emphasizing prevention, prioritizing protection, categorical management, risk management and control, polluter liability, and public participation. Article 4: All organizations and individuals have a duty to protect the soil and prevent soil pollution. Land-use rights-holders engaging in activities to exploit the land; and enterprises, public institutions and other producers and businesses engaged in production and business activities, shall employ effective measures to prevent and reduce soil pollution, and bear responsibility for all soil pollution they cause. Article 5: All levels of local people's government shall be responsible for the prevention and control of soil pollution and the safe use of soil in that administrative region. The State implements responsibility and evaluation assessment systems for soil prevention and control goals, making the completion of soil pollution prevention and control goals a part of evaluation and assessment for all levels of local people's government and their responsible parties, and for departments at the county level or above responsible for soil pollution prevention and control supervision and management and their responsible parties. Article 6: All levels of people's government shall strengthen guidance of soil pollution prevention and control efforts; organizing, coordinating, and urging relevant departments lawful performance of soil pollution prevention and control supervision and management responsibilities. Article 7: The State Council's departments competent for ecology and the environment carry out uniform supervision and management of soil pollution prevention and control efforts for the entire nation; the State Council's competent departments for agricultural villages, natural resources, housing and urban-rural construction, forestry and grasslands, and so forth, carry out supervision and management of soil pollution prevention and control efforts within the scope of their respective duties. Local people's governments' departments competent for ecology and the environment carry out uniform supervision and management of soil pollution prevention and control efforts for the that administrative region; and local people's governments' competent departments for agricultural affairs, natural resources, housing and urban-rural construction, forestry and grasslands, and so forth, carry out supervision and management of soil pollution prevention and control efforts within the scope of their respective duties. Article 8: The State is to establish mechanisms for sharing environmental information on soil. The State Council's competent departments for ecology and the environment, together with the State Council departments for agricultural affairs, natural resources, housing and urban-rural construction, water conservation, hygiene and health, forestry and grassland, and so forth, shall establish a basic database on the soil environment, building a platform for nationwide soil environmental information, and carrying out dynamic data updating and information sharing. Article 9: The state supports soil pollution risk management and control, and research and development and application and promotion of restoration and monitoring and other technologies for pollution prevention and control, encouraging the development of the soil pollution prevention and control industry, strengthening the cultivation of specialized soil pollution prevention and control resources, and promoting improvements in soil pollution prevention and control technologies. The State supports international exchange and cooperation on soil pollution prevention and control. Article 10: All levels of people's government, their relevant departments, basic-level mass autonomous organizations and news media shall strengthen publicity, education, and science popularization on soil pollution prevention and control, increasing the public's awareness of soil pollution prevention and control, and guiding the public to lawfully participate in soil pollution prevention and control efforts. Article 11: People's governments at the county level or above shall place soil pollution prevention and control in citizens' economic and development plans and environmental protection plans. The competent departments for the ecology and the environment of people's governments at the districted city level and above, together with the reform and development commission, and departments for agricultural affairs, natural resources, housing and urban-rural construction, forestry and grasslands, and so forth, shall draft soil pollution prevention and control plans on the basis of the environmental protection plan's requirements, land use, and the results of surveys and monitoring of soil pollution, and publish and implement it after it is approved by the local people's government for that level. Article 12: The State Council's competent departments for the ecology and the environment is to draft national soil pollution risk management standards based on soil pollution conditions, public health risks, ecological risks, and the level of science and technology, and in an accordance with the uses of the land, to strengthen the establishment of a system of soil pollution prevention and control standards. Provincial level people's governments may draft local soil pollution risk management standards for items on which the national soil pollution risk management standards make no provisions; for items which the national soil pollution risk management standards already have provisions, local soil pollution risk management standards stricter than the national standards may be drafted. Local soil pollution risk management and control standards shall be reported for filing to the State Council's competent department for the ecology and the environment. Soil pollution risk management and control standards are compulsory standards. Article 13: In the formulation of soil pollution risk management and control standards, experts shall be organized to conduct review and debate, and the comments of relevant departments, industry associations, enterprises, public institutions, the public, and others shall be solicited. The implementation of soil pollution risk management and control standards shall be periodically assessed, and the standards are to be adjusted at appropriate times based on the assessment outcomes. The competent departments for ecology and the environment of people's governments at the provincial-level shall publish the soil pollution risk management and control standards on their websites, for the public to access and download for free. Article 14: The State Council uniformly leads the national survey of the soil pollution conditions. The competent department for ecology and the environment under the State Council, together with the competent departments for agricultural affairs, land and resources, housing and urban-rural construction, forestry and grasslands, and so forth, is to organize and carry out a survey of soil pollution conditions at least once every 10 years. Based on the actual conditions of their fields and administrative regions, the relevant departments under the State Council and of local people's governments at the districted city level or above may select times to organize and carry out detailed investigations into soil pollution conditions. Article 15: The state is to implement a soil environment monitoring system. The State Council's competent departments for the ecology and the environment are to draft regulations for soil environmental monitoring, and together with the State Council departments for agricultural affairs, natural resources, housing and urban-rural construction, water conservation, hygiene and health, forestry and grassland, and so forth, are to organize a monitoring network uniformly planning the set up of national soil environmental monitoring stations (points). (6) other situations provided for by the State Council's competent departments for agricultural affairs, forestry and grasslands, the ecology and the environment, and natural resources. (4) Other situations provided for by the State Council's competent departments for the ecology and the environment or natural resources. Article 18: All kinds of projects involving land use planning and construction projects that might cause soil pollution, shall be subject to environmental impact assessments in accordance with law. The environmental impact assessment document shall include content such as possible adverse effects on the soil and the corresponding preventive measures that shall be taken. Article 19: Units and individuals producing, using, storing, transporting, recycling, disposing of, or discharging toxic or harmful substances shall employ effective measures to prevent the leakage, spillage, or spread of the toxic or harmful materials, and avoid polluting soil. Article 20: The competent department of environmental protection under the State Council shall, on to basis of the extent of possible impact on public health and harm to the ecology and the environment, conduct screening assessment of toxic and harmful substances in the soil, and announce a directory of key toxic and harmful substances in soil, and update this as appropriate. Article 21: The competent departments for the ecology and the environment of people's governments at the districted-city level and above shall follow the provisions of the State Council's competent department for the ecology and the environment, and, on the basis of the state of toxic and harmful substance emissions and other circumstances, draft a directory of key soil pollution monitoring units in the administrative area, release it to the public, and update it at appropriate times. (3) draft and implement self-monitoring plans, and send monitoring data to the competent departments for the ecology and the environment. The duties provided for in the preceding paragraph shall be indicated in emissions permits. Key soil pollution monitoring units shall be responsible for the authenticity and accuracy of the monitoring data. Where the competent departments for the ecology and the environment find that the key soil pollution monitoring unit's monitoring data is irregular, they shall promptly conduct an investigation. The competent departments for ecology and the environment of people's governments at the districted city level and above shall periodically conduct monitoring of soil in the area of the key soil pollution monitoring unit. Article 22: Where enterprises and public institutions dismantle facilities and equipment or buildings and structures, they shall take corresponding measures to prevention and control soil pollution. Where enterprises and public institutions dismantle facilities and equipment or buildings and structures, they shall draft a soil pollution work plan including emergency response measures and report it for filing and implementation to the competent departments for the ecology and the environment and industry and information technology. Article 23: The competent departments for ecology and the environment and natural resources of all levels of people's government shall lawfully strengthen oversight and management of bankrupt resource exploitation regions' soil pollution prevention and control, and follow the requirements relevant standards and volume controls to strictly control emissions of key pollutants that might cause soil pollution. Article 24: The state encourages the use of new technologies and materials to prevent soil pollution in construction protects information, networking, lightening safeguards, and grounding, in fields such as architecture, communications, electricity, traffic, and water conservation. The use of resistance products containing heavy metals in excess of standards is prohibited. Article 25: Construction and operation of centralized sewage treatment facilities and solid waste disposal facilities shall employ measures to prevent soil pollution in accordance with laws, regulations, and relevant standards. All levels of local people's government shall make overall plans, construct urban and rural sewage and domestic waste disposal and treatment facilities, and ensure their normal operation to prevent soil pollution. Article 26: the State Council's competent departments for agriculture and forestry and grasslands shall draft plans and improve relevant standards and measures to strengthen guidance of agricultural use of pesticides and fertilizer, and overall volume controls, and strengthen controls of the use of agricultural film. 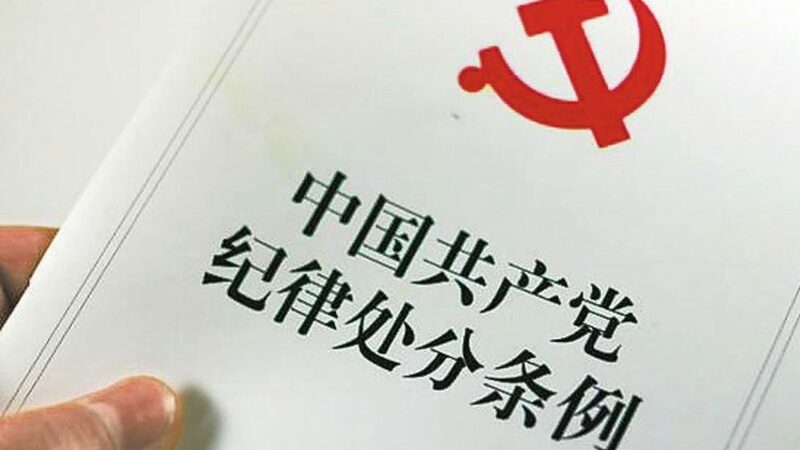 The State Council's competent department for agriculture and rural affairs shall strengthen registration of pesticides and organize safety assessments on the impact of pesticides and fertilizers on the soil environments. Standards formulated for pesticides, veterinary medicines, fertilizers, feed, agricultural films, and other such agricultural inputs and their packaging, as well as standards for farmland irrigation water quality, shall be suited to the requirements of soil pollution prevention and control. Article 27: The competent departments for agriculture and rural affairs and forestry and grasslands of local people's governments shall carry out publicity on technological training activities on agricultural soil pollution prevention and control, shall support the professionalization of agricultural production services, and shall guide agricultural producers in the reasonable use of pesticides, veterinary medicines, feed, agricultural film and other such agricultural inputs, and control the volume used of chemical fertilizers, pesticides, veterinary drugs, and so forth. The competent departments for agricultural and rural areas of the local people's governments shall encourage agricultural producers to employ farming practices such as planting-breeding and crop rotation, that are conducive to the prevention soil pollution; shall support measures conducive to soil conservation and cultivation such as improving soil and increasing soil fertility; and support the construction of facilities for the handling and use of manure. Article 28: It is prohibited to discharge of heavy metals or other waste water or sewage containing toxic or harmful substances in excess of standards, as well as dredging sediment, tailings, or slag that might cause soil pollution. The relevant departments of people's governments at the county level or above shall strengthen oversight and management of the collection, use, and disposal of manure, bio-gas residue, and bio-gas slurry, to prevent soil pollution. Agricultural field irrigation shall meet relevant water quality standards, prevent soil pollution, and pollution of underground water and agricultural products. Local people's governments competent departments for ecology and the environment, together with the competent departments for agriculture and rural affairs and for water conservation, shall strengthen management of water quality for agricultural field irrigation, and conduct monitoring and oversight inspections on the water quality for irrigation of agricultural fields. （3） Employing soil testing fertilization technology, biological prevention and control, and other technology for the prevention and control of pests and illness. (6) Following provisions to improve acidic soil etc. Producers, sellers, and users of agricultural inputs shall promptly recover waste packaging from pesticides, fertilizers, and other agricultural inputs and agricultural film, and send pesticide packaging waste to specialized institutions or organizations for harmless disposal. The specific measures are to be formulated by the competent departments for agriculture and rural affairs under the State Council in conjunction with competent departments for ecology and the environment. The State employs measures to encourage and support Units and individuals recovering waste packaging from agricultural inputs and agricultural films. Article 31: The State is to strengthen protection of unpolluted soil. All levels of local people's government shall give key protecting unpolluted arable land, woodlands, grasslands, and land with drinking water resources. All levels of people's government shall strengthen protections of national parks and other nature preserves, preserving their ecological functions. Unused lands shall be protected and must not be polluted or destroyed. Article 32: Local people's governments at the county level or above and their relevant departments, shall, in accordance with overall land use planning and urban-rural planning, strictly enforce related enterprise layout and site selection requirements in relevant industries, prohibiting new construction, renovation, or expansion projects that might cause soil pollution near residential areas or in the vicinity of units such as schools, hospitals, eldercare facilities, or retirement homes. Article 33: The State is to strengthen the protection and rational use of soil resources. Stripped surface soil from new development projects should be collected and stored separately; and where the requirements are met, priority shall be given to land reclamation, soil improvement, land reclamation and afforestation. 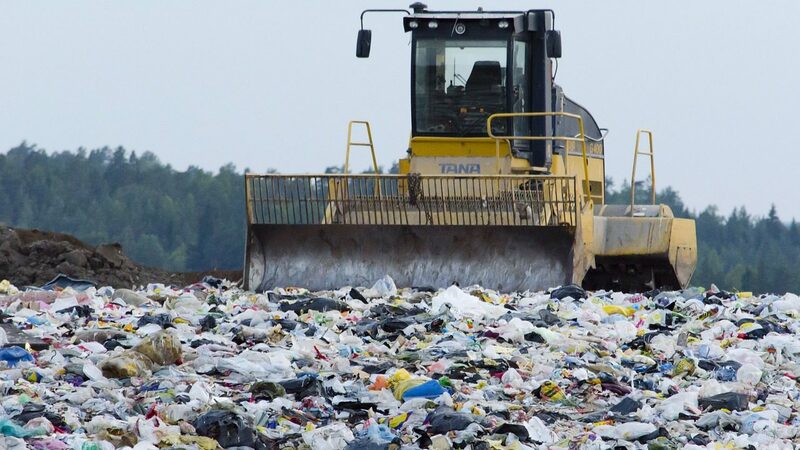 It is prohibited to use industrial solid waste, domestic waste or polluted soil with heavy metal or other toxic and harmful substance content in excess of standards, for land reclamation. Article 34: Where there is a need to import soil for scientific research and other special reasons, relevant provisions on exit-entry inspection and quarantine shall be followed. Article 35: Soil pollution risk management, control, and restoration includes investigations of the state of soil pollution and soil pollution risk assessment, risk control, restoration, assessment of risk control efficacy, assessment of restoration efficacy, follow up management, and other such activities. Article 36: A soil pollution status investigation report shall be drafted in carrying out soil pollution status investigation activities. Soil pollution status investigation reports shall primarily include content such as basic information and whether the pollutant load exceeds standards for soil pollution risk management and control. Where the pollutant load exceeds standards for soil pollution risk management and control, soil pollution status investigation reports shall also include content such as the type of pollution, the source of pollution, and whether groundwater has been polluted. Article 37: A soil pollution risk assessment report shall be drafted in carrying out soil pollution risk assessment activities. (4) The goals and basic requirements for risk management and control, and restoration. Article 38: The carrying out of risk management and control or restoration activities shall be suited to the locality, scientific and rational, and increase focus and efficacy. Carrying out of risk management and control or restoration activities must cause not pollution of soil or the surrounding environment. Article 39:Before carrying out risk management and control or restoration activities, the relevant departments of local people's governments have the right to request on the basis of actual conditions that the persons responsible for soil pollution or the land-use rights-holders employ measures such as removing sources of pollution or preventing the spread of pollution. Article 40:Waste water, waste gases, or solid waste produced during risk management, control, and restoration activities shall be handled or disposed of in accordance with regulations and reaching the relevant environmental protection standards. Solid waste produced in risk control management, control, and restoration activities, as well as hazardous waste from dismantling of facilities, equipment, or buildings, or from construction, shall be disposed of in accordance with the requirements of laws, regulations, and relevant standards. During the period of restoration, a bulletin board shall be established to announce the relevant conditions and environmental protection measures. Article 41: Where restoration work units transport polluted soil, they shall formulate a transport plan and report in advance on the transportation timing, methods, routes, and the volume, destination, and ultimate disposal measures for the soil pollution, to the competent departments for ecology and environment for the areas sending and receiving the soil. Where the polluted soil being transported is hazardous waste, the unit performing restoration shall dispose of it in accordance with laws, regulations and relevant standards. Article 42: A efficacy assessment report shall be drafted in carrying out risk management and control or restoration efficacy assessment activities. Efficacy assessment reports shall primarily include content such as whether the risk management and control or restoration goals set by the soil pollution risk assessment report have been met. After risk management, control, or restoration activities are completed, where it is necessary to carry out follow-up management, the party responsible for the soil pollution shall carry out follow-up management in accordance with requirements. Article 43:Units engaged in investigations of the state of soil pollution and soil pollution risk assessment; risk control, management, or restoration; assessment of risk control and management efficacy, assessment of restoration efficacy, follow-up management, and other such activities; shall possess the corresponding professional capacity. Units that have been retained to engage in the activities of the preceding paragraph are responsible for the veracity, accuracy, and completeness of the investigation reports, risk assessment reports, risk management and control efficacy reports, and restoration efficacy reports they issue; and are responsible for the outcomes of activities such as risk management and control, restoration, and follow-up management, as agreed upon. Article 44:Where emergency incidents that might cause soil pollution occur, local people's governments, their relevant departments, and related enterprises, public institutions, and other producers and businesses shall immediately take emergency response measures to prevent soil pollution, and follow the relevant provisions of this Law to do a good job of monitoring and investigating the state of soil pollution and of soil pollution risk assessment and management or restoration, or other such work. Article 45:The person responsible for soil pollution has an obligation to carry out soil pollution risk assessment and management, or restoration. Where the person responsible for soil pollution has no legally-designated representative, the land use rights-holder shall carry out soil pollution risk assessment and management, or restoration. Local people's governments and their relevant departments may organize and implement soil pollution risk assessment and management, or restoration based on actual condition. The State encourages and supports relevant parties' voluntarily carrying out risk control and management or restoration projects. Article 46:Expenses paid out for organizing or carrying out investigations of the state of soil pollution, soil pollution risk assessment, risk control and management or restoration; assessments of risk control and management efficacy; assessment of restoration and follow up management efficacy; and other such activities, are to be borne by the person responsible for the pollution. Article 47:Where the person responsible for soil pollution changes, the units or individuals succeeding in their interests and obligations are to carry out risk management and control, or restoration obligations, and bear the related costs. Article 48:Where it is not clear who the person responsible for the soil pollution is, or there is a dispute as to who it is, then for rural land the competent departments for agricultural and rural affairs and for forestry and grasslands, together with the competent departments for the ecology and environment and for natural resources, are to make a designation, and for construction land, the local people's governments competent departments for ecology and the environment, together with the competent departments for natural resources, are to make a designation. The methods for making designations are to be formulated by the competent department for ecology and the environment under the State Council in conjunction with relevant departments. Article 49: The State is to establish a system of categorical management for agricultural land. Agricultural lands will be distinguished as Priority Protection, Safe Utilization and Strict Control lands in accordance with the degree of soil pollution and related standards. Article 50:Local people's Governments at the county level or above shall mark eligible arable lands in priority protection categories as permanent foundational farmland, and carry out strict protections. Construction projects that might cause soil pollution must not be constructed in areas with concentrated permanent foundational farmland; and where it has already been constructed it shall be removed within a set period of time. Article 51:The competent departments of local people's governments for agricultural affairs, together with the competent departments for ecology and the environment and for natural resources are to conduct investigations of the soil pollution status of unexploited land, reclaimed land, and other usable arable land, and lawfully implement categorical management. Local people's governments competent departments for agriculture and rural affairs and forestry and grasslands shall, together with the competent departments for ecology and the environment and natural resources, are to organize and conduct soil pollution risk assessment of agricultural land plots where soil pollution investigations indicate that the soil pollution content exceeds the soil pollution risk management and control standards, and manage it in accordance with the categorical management system for agricultural land. (4) Other risk management and control measures. All levels of people's government and their relevant departments shall encourage the adoption of risk control and management measures for agricultural land in the Strict Control category, such as adjustments to the crop selection, restoration of forests and grasslands, fallow crop rotation, rotational grazing, and are to give corresponding policy supports. Article 55:Where the soil pollution of Safe Use or Strict Control category agricultural land plots impacts or might impact ground water or drinking water safety, the local people's governments competent departments for ecology and the environment shall draft a soil pollution prevention and control plan in conjunction with competent departments such as for agricultural affairs and forestry and grasslands, and employ corresponding measures. Article 56:Persons responsible for soil pollution shall follow relevant national provisions and the requirements of the soil pollution risk assessment report to employ corresponding risk management and control measures for Safe Use and Strict Control category agricultural land plots, and periodically report to the local people's governments' competent departments for agricultural affairs and forestry and grasslands. Article 57:The persons responsible for soil pollution shall draft restoration plans for agricultural land plots producing agricultural products with pollutants exceeding standards that need to implement restoration, and report to the local people's governments' competent departments for agricultural affairs, and forestry and grasslands, for filing and implementation. Restoration plans shall include content on preventing and controlling ground water pollution. Restoration activities shall prioritize biological measures , blocking or reducing pollutants entry into the edible portion that do not impact agricultural production, and do not reduce soil's productivity, blocking or reducing pollutants entry into the edible portion of crops. and ensuring the quality and safety of agricultural products. After risk management, control, and restoration activities are completed, the person responsible for soil pollution shall separately retain relevant units to conduct assessments of the efficacy of the risk management and control, and restoration; and send efficacy assessment report to file it with the local people's governments competent departments for agricultural affairs, and forestry and grasslands. Rural collective economic organizations and their members, farmers‘ professional cooperatives, other agricultural production entities and so forth, bear obligations to assist in carrying out soil pollution risk management, control, and restoration. Article 58:The state implements a soil pollution risk management, control, and restoration directory system for construction-use land. The Directory of Construction-Use Land for Soil Pollution Risk Management, Control, and Restoration is drafted by the competent department for ecology and the environment, together with the departments for natural resources and other competent departments, and is to be made public in accordance with provisions, and updated at appropriate times based on the risk management control and restoration situation. Article 59:For construction-use land that general surveys, detailed investigations, monitoring, or on-site inspections of soil pollution conditions indicates has pollution risks, the local people's governments competent departments for ecology and the environment shall request that the land-use rights-holder make a soil pollution status investigation in accordance with provisions. Where land will be converted for residential, public management, or public services uses, the soil pollution status investigation shall be conducted before the conversion in accordance with provisions. Reports from the soil pollution status investigations provided for in the preceding two paragraphs shall be sent to the local people's governments' competent departments for ecology and the environment, and the local people's governments' departments for the ecology and environment are to organize a review together with the departments for natural resources. Article 60:For construction-use land where review of the soil pollution status investigation report indicates pollutants in excess of soil pollution risk management and control standards, the person responsible for soil pollution and the land-use rights-holder shall conduct soil pollution risk assessment in accordance with provisions from the State Council department for ecology and the environment, and send a soil pollution risk assessment report to the provincial level people's governments's department for ecology and the environment. Article 61:Provincial level people's governments departments for ecology and the environment, together with competent departments such as for natural resources, shall follow the provisions of the State Council departments for ecology and the environment to organize a review of soil pollution risk assessment reports, and promptly include plots that need to have risk management, control, or restoration implemented into the construction land soil pollution risk management, control, or restoration directory, and periodically report to the State Council departments for ecology and the environment. Plots entered into the soil pollution risk management, control and restoration directory must not be used residential, public administration or public service land. Article 62:Persons responsible for soil pollution shall follow relevant national provisions and the requirements of the soil pollution risk assessment report to employ corresponding risk management and control measures for land plots in the Directory of Construction-Use Land for Soil Pollution Risk Management, Control, and Restoration, and periodically report to the local people's governments' competent departments for ecology and the environment. Risk management and control measures shall include content on preventing and controlling ground water pollution. (3) Other risk management and control measures. Article 64:For plots that are in the Directory of Construction-Use Land for Soil Pollution Risk Management, Control, and Restoration and need to have restoration implemented, the person responsible for soil pollution shall combine the overall all land use plan and the urban rural plan to draft a restoration plan and report this to the local people's governments' departments for ecology and the environment for filing and implementation. Restoration plans shall include content on preventing and controlling ground water pollution. Article 65: After risk management, control, and restoration activities are completed, the person responsible for soil pollution shall separately retain relevant units to conduct assessments of the efficacy of the risk management and control, and restoration; and send efficacy assessment report to file it with the local people's governments competent departments for ecology and the environment. Article 66:For construction use land plots that have achieved the risk management, control, and restoration goals determined in the soil pollution risk assessment report, the person responsible for soil pollution and the land-use rights-holder may apply to the provincial level people's governments' departments for ecology and the environment for removal from the Directory of Construction-Use Land for Soil Pollution Risk Management, Control, and Restoration. The provincial people's governments' departments for ecology and the environment, together with competent departments such as for ecology and the environment, shall organize reviews of the risk control and management efficacy report, and restoration efficacy report, and promptly remove land plots that have achieved the risk management, control or restoration goals set forth in the soil pollution risk assessment and that can now be safely used, from the Directory of Construction-Use Land for Soil Pollution Risk Management, Control, and Restoration, publicly announce this and periodically report to the State Council departments for ecology and the environment. For construction-use land plots that have not reached the risk management and control or restoration goals, it is prohibited to carry out any construction projects that are not related to risk management, control, or restoration. Article 67:When units for key soil pollution oversight re-purpose lands used for production operations, or before the return, or transfer of their usage rights, the land use rights holders shall a soil pollution status investigation in accordance with provisions. The soil pollution status investigation report shall be sent to the local people's governments' real estate registration body as a registration material, and be reported to the local people's governments' departments for ecology and the environment for filing. Article 68:Where land-use rights have already been relcaimed by the local people's governments, and the person responsible for soil pollution was the former land-use rights-holder, the local people's governments are to organize and implement soil pollution risk management, control, and restoration. Article 69:The State is to employ economic, economic policies and measures such as for the treasury, taxation, pricing, and finance, that conductive to soil pollution prevention and control. (4) Other matters provided by each level of people's governments that involve soil pollution prevention and control. Performance management and audit supervision shall be strengthened for use of funds, to ensure the efficacy of the use of funds. Article 71:The state is to increase the extent of investment in soil pollution prevention and control, and to establish a soil pollution prevention and control fund system. The established central soil pollution prevention and control funding and provincial Soil Pollution Prevention Funds, are primarily to be used for prevention and control of soil pollution in agricultural land and the soil pollution risk management, control, and restoration where the person with responsibility for soil pollution or the land use rights holder cannot be identified, as well as other matters provided by the government. Where it occurred before this Law took effect, and the person responsible for soil pollution cannot be identified, and the land use rights holder undertakes soil pollution risk control, management and restoration, they may apply to the soil pollution prevention and control fund, with use concentrated around soil pollution risk control, management, and restoration. Specific Measures for the management of the soil pollution prevention and control funds are to be formulated by the competent department for Finance under the State Council, in conjunction with the competent departments under the State Council for areas such as ecology and the environment, agricultural affairs, natural resources, housing and urban and rural construction, and forestry and grasslands. Article 72:The State encourages financial institutions to expand the availability of credit for soil pollution risk management, control, and restoration projects. The State encourages financial institutions to carry out investigations of soil pollution status in the course of land rights mortgage operations. Article 73:Units engaged in soil pollution risk management, control, and restoration are to enjoy tax benefits in accordance with laws and administrative regulations. Article 74:The state encourages and calls upon all aspects of society to donate assets for soil pollution prevention and control, and gives tax benefits in accordance with laws and administrative regulations. Article 75:People's governments at the county level or above shall include the prevention and control of soil pollution in their annual reports on the completion of the environmental status and environmental protection objectives, and report this to the people's congresses of that level, or the standing committee of that people's congresses. Article 98:Where violations of provisions of this law constitute a public security administration violation, the public security organs will give public security administrative sanctions in accordance with law; where a crime is constituted, pursue criminal responsibility in accordance with law. Article 99:This law is to take effect on January 1, 2019. The estimated value for a full translation of this post is $920.28 USD at the below-market rate of $.06 per character, with 14,688 characters.